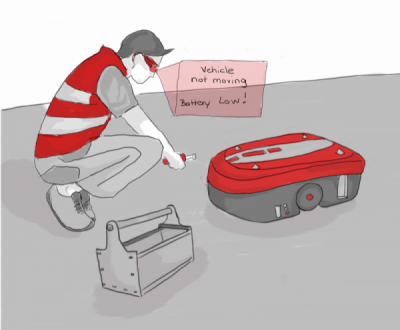 The SafeLog project proposes to develop a complete new integrated safety concept, which will fundamentally change the usage of mobile robots in an environment where humans and robots work closely together. 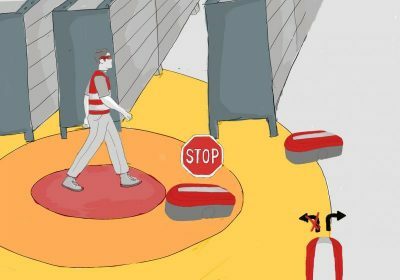 To maintain safety for the humans, while they work in close collaboration with mobile robots, a mandatory Safety Vest has to be worn. 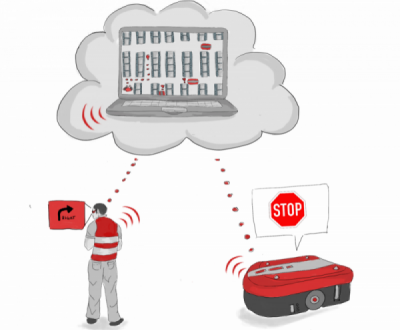 Equipped with sensors it enables to locate the human and to communicate with other systems. 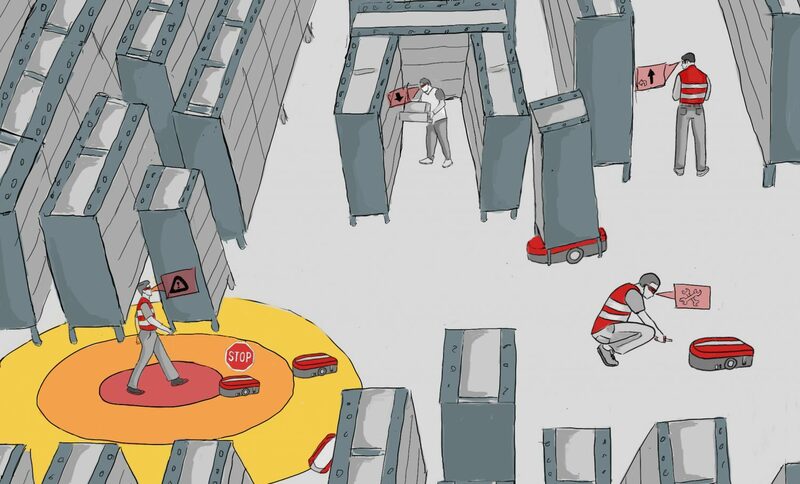 The Fleet Management System(FMS) is responsible for the coordinated and goal oriented path planning for heterogeneous entities like different Automated Guided Vehicles (AGVs) and human workers as well as for scheduling their tasks. 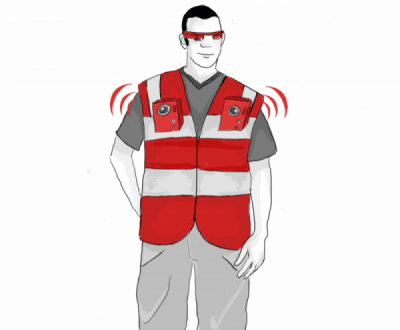 Augmented Reality (AR) based wearable devices like glasses will be used to assist the human worker in his different roles through the flexible warehouse by providing picking, navigating and maintenance information.